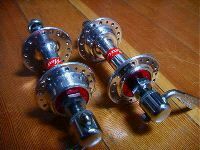 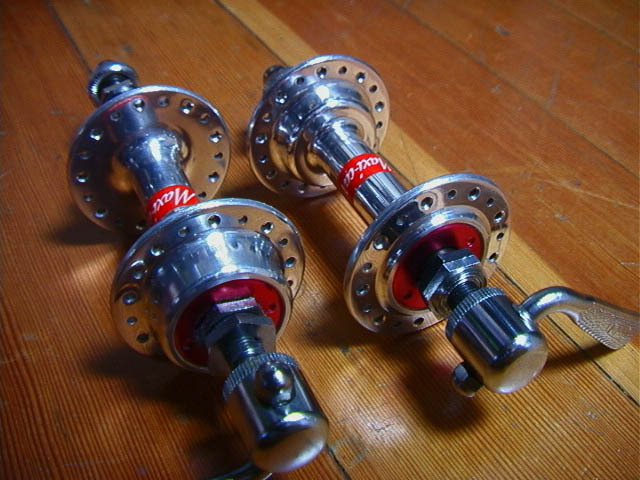 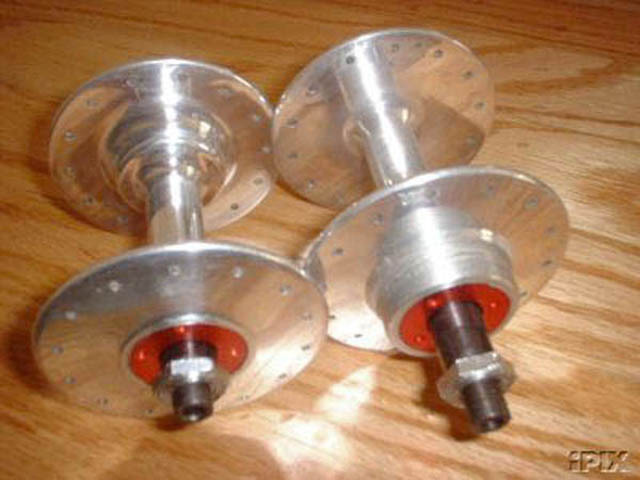 Very soon after holes began to appear in the hub flanges, front hubs began to be made with larger bearings, the same size as those in the rear hubs, likely to allow for thicker quick release axles. 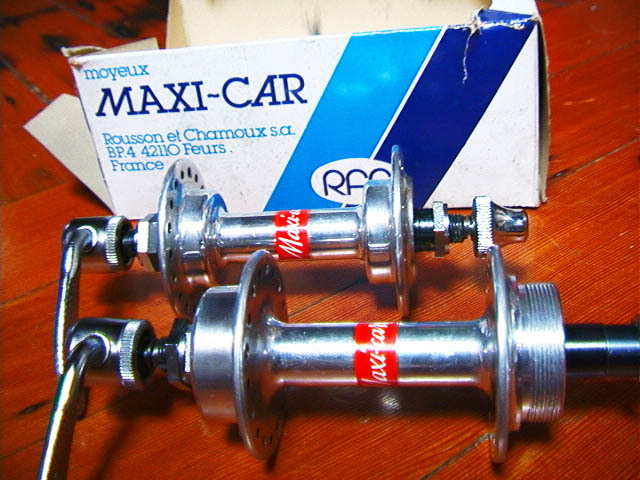 The red "Maxi-Car" stickers on the hub barrels began to appear around this same time. Low flange hubs began to appear during this period, but it is not clear exactly when. 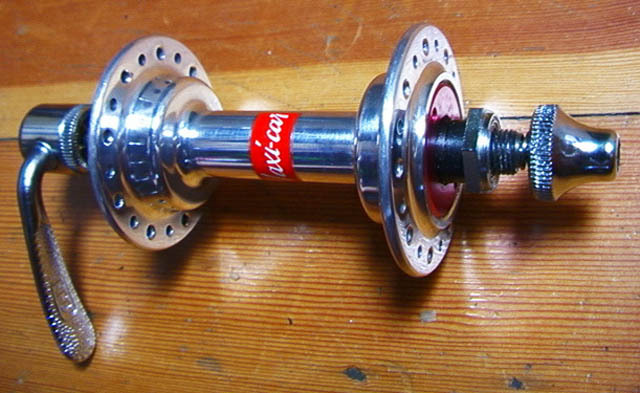 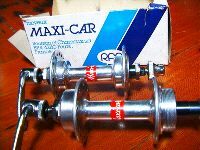 The quick release lever marked "RFG" on the low flange hubset is the stock Maxi-Car quick release. 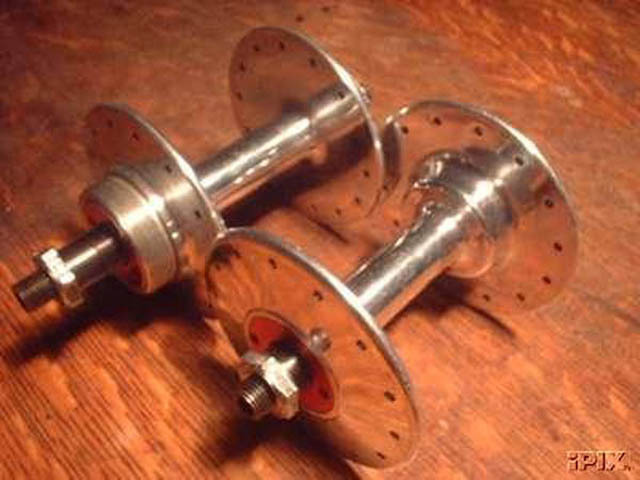 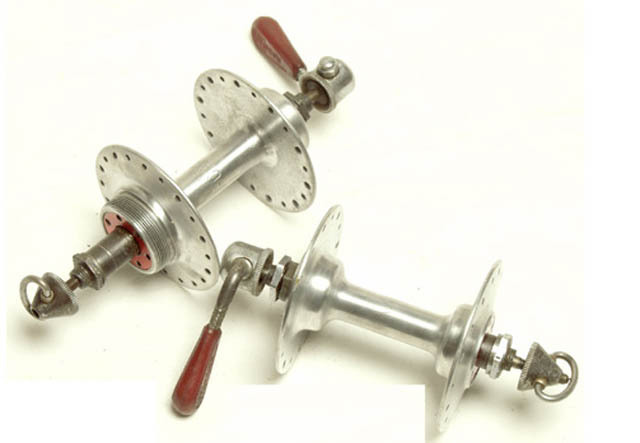 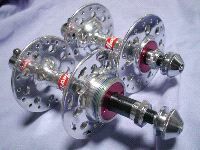 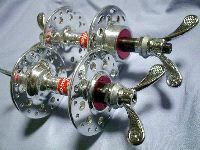 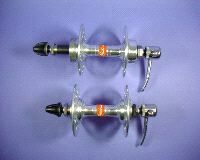 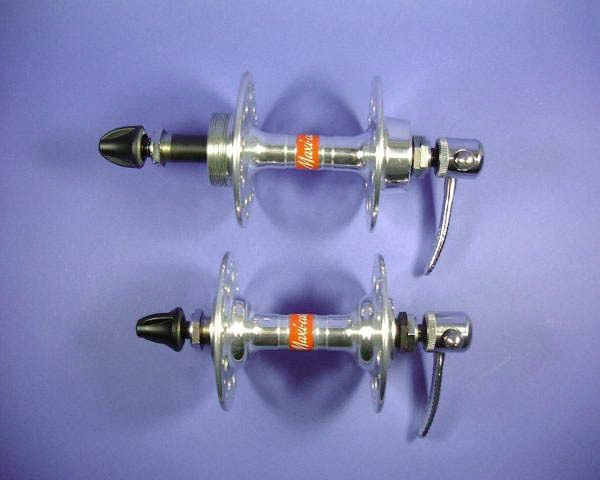 Tandem hubsets continued to be produced without holes in the flanges, and this was also available by request for single hubs.